Head down the stairs into the Cartier building, walk past the “sushi” joint taking up the entire seating area and you’ll find a little slice of unexpected heaven. 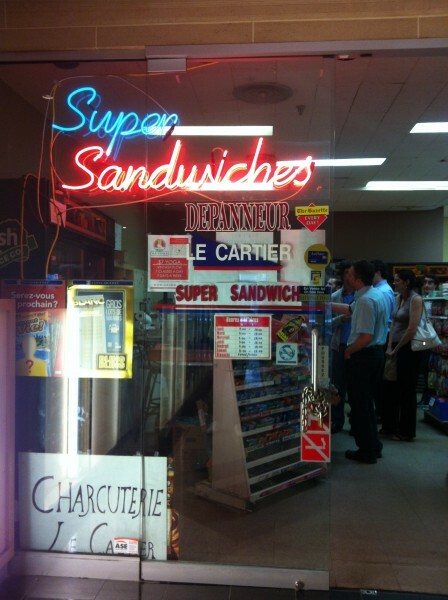 It comes in the form of a small depanneur known affectionately by its greatest offering: the one and only Super Sandwich. 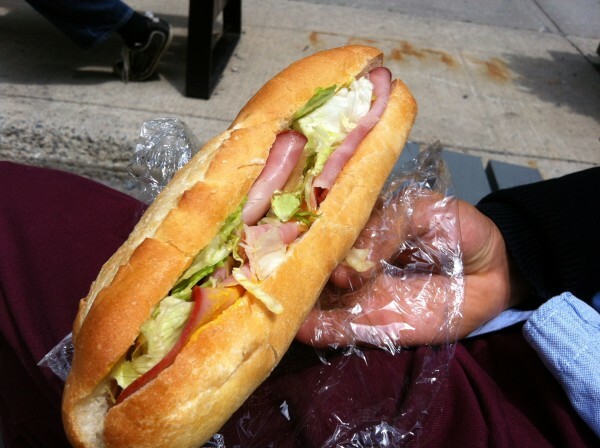 For a mere $3 dollars, you can get a full size sandwich that’s prepared in front of you in literally seconds. On a hot bun. These guys are machines. 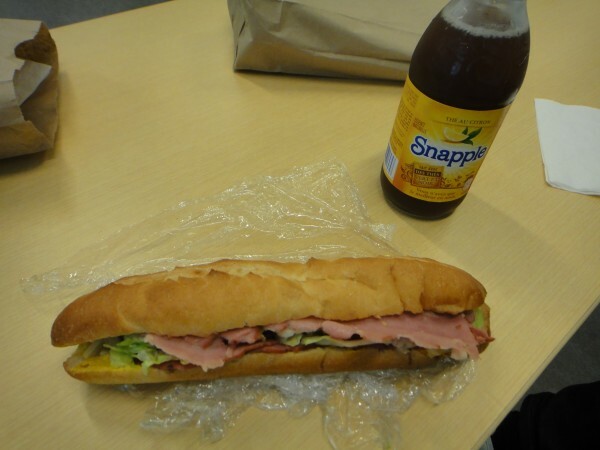 You order from the relatively expansive sandwich menu (egg salad, ham and cheese, pastrami, chicken salad…. 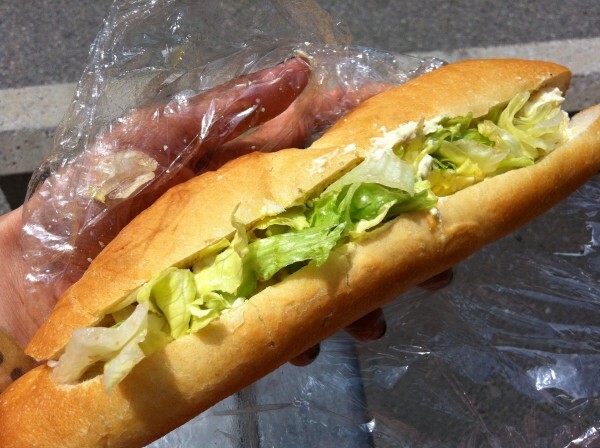 it goes on) from the super-cashier and by the time you take out your wallet and fumble for the right change, your sandwich is prepared, wrapped neatly in plastic and placed in their signature brown paper bag. Throw in a bag of chips and drink? Your total inches up to the $5-$6 dollar mark, tax in. 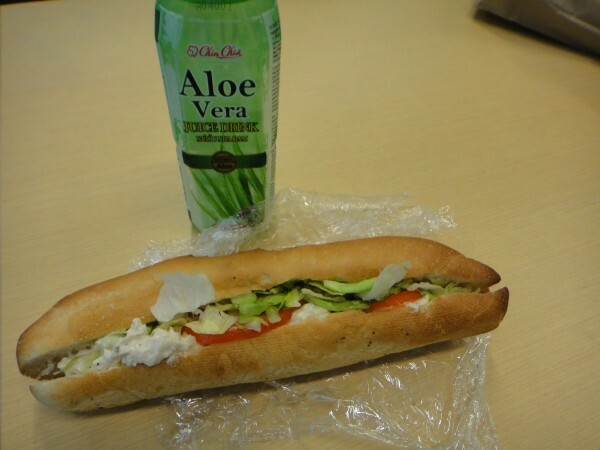 Super sandwiches, super deal, super can’t say no. Once you go, you can never turn back. I started noticing people carrying the brown paper bags around McGill campus, students, suits and young professionals alike… It almost felt clandestine. I caught myself furtively looking around and sizing people’s bags up and gaging what they’d gotten. McGill students have been frequenting the spot for years – they’ve been passing down the secret from year to year. Cheap, delicious and ridiculously fast. It doesn’t matter where you come from, or where you’re going. We all belong to Super Sandwich now. But in all seriousness… Super Sandwich has some really sweet deals you won’t find anywhere else. Check it out if you’re in the area for work or school etc. 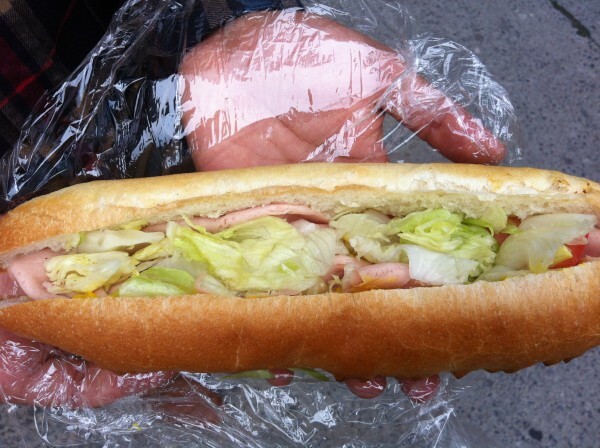 Tags: Cheap, Depanneur, Lunch, Montreal, Sandwich, Super Sandwich.